Can Straight Teeth Actually Improve Your Dental Health? Aesthetika Dental Center Blog Can Straight Teeth Actually Improve Your Dental Health? Straightening a crooked smile can do wonders for an individual’s self-esteem and even their social life, but can it actually improve their dental health and hygiene? Crooked teeth are more difficult to clean properly with a toothbrush and with floss. Over time, all these misses with the toothpaste and floss can lead to a build-up of plaque (made up of millions and millions of bacteria), which can eventually harden into tartar and result in a serious form of gum disease known as gingivitis. If the gingivitis isn’t treated, it could lead to an even more serious condition called periodontitis, which may result in receding gums and even tooth loss. If that’s not a reason to consider straightening your teeth, then we’re not sure what is! If you are worried about the look and feel of clunky metal braces, consider straightening your teeth with the clear braces, which is a series of clear trays that gently shift your teeth into a straighter position. 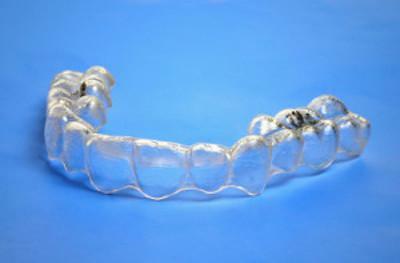 The trays are removable, making it easy to eat and clean your teeth.